Let’s set the scene, you wake up after a fabulous night’s sleep, roll over and plan your Saturday – utter bliss! Then glance at your alarm clock, realise it’s actually Wednesday and you’ve overslept, and panic runs through your body as you attempt to complete what feels like a marathon in five minutes flat! Dress, breakfast, brush teeth (essential) and yes, there really is time for your beauty routine – with our 30-second beauty fixes. 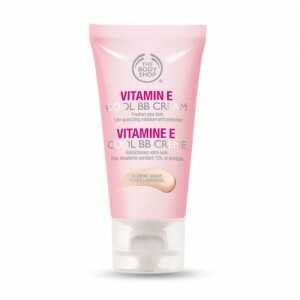 On mornings when your complexion needs more than a wake-up call, swap your usual face wash for an exfoliator; With all the cleansing ability of a face wash, plus the power to remove dull dead skin cells and stimulate the blood supply to the face, this product gives you that super healthy glow. We love the gentle exfoliant from AEOS; nourishing and hydrating, it leaves your skin soft, smooth and more receptive to the products that follow. Massage into a dry complexion using the pads of your fingers, then splash the face with cold water for an extra boost and to remove. For your morning marathon to make it into the office on time and there’s no time to moisturise, thank goodness for The Body Shop BB cream: colour, coverage and moisturiser in one, illuminating the complexion with its lightweight texture and easily blend-able formula, which ensures faultless application every time. 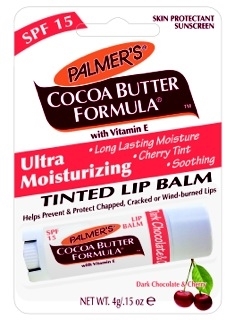 For a beautifully sheer, just-bitten lip look, with the gorgeous aroma of chocolate and cherry, this bargain balm a coat pocket must-have. So easy to apply on the go, without the use of a mirror, your dry lips are instantly revived with a gentle pop of colour and soothed with a surge of deep hydration. When you’re running late, fixing your bed-head style can seem like an impossible task, but fear not! We assure you it really is achievable in 30 seconds, with Donotelle’s instant one-piece clip-in hair extension, available in 18 shades. Take the top section of your hair and pin back and place the lower half of your hair in a bobble. 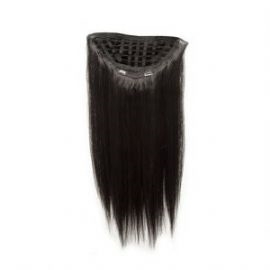 Follow by securing the extension in place with the seven pre-attached clips and let the top section of your hair back down and voila, the perfect style in seconds! Our top tip is to buy a slightly wavy extension, that way you won’t even have to straighten your own hair to get the piece to blend in; think bed-head to boho chic!